The preferred nursing organization recognized as a leader in our region in scholarship, leadership, and service. Welcome to the Rho Zeta Chapter of Sigma! The Rho Zeta Chapter of Sigma was first established in 1982 at Southeastern Louisiana University School of Nursing and rechartered in 1999. On September 24, 1999, Sigma inducted 95 members. Those members were inducted under the following categories: Founding, Community, Undergraduate, Graduate, and Alumni. After many months of dedicated planning and organizing, Southeastern Louisiana University Honor Society of Nursing officially became the Rho Zeta Chapter of Sigma Theta Tau International Honor Society of Nursing. The chartering ceremony took place on Friday, March 8th at the Southeastern Student Union Theater. Dr. Peggy Ellis, a representative from Sigma, was the inducting officer for the ceremony. There were 139 members installed at the Chartering Ceremony, including new members, transfer and dual members. Dr. Mary Coyne, President of Gamma Lambda, our sister chapter was also present at the ceremony. Dr. Randy Moffett, SLU President, and Dr. John Crain, SLU Provost also attended. Dr. Donnie Booth, Dean of the College of Nursing and Health Sciences, assisted with the induction of new members. Jennifer Robinson served as President of the new Rho Zeta Chapter. A growing need to train academic faculty members as simulation facilitators has continued to grow by leaps and bounds throughout the state of Utah. The majority of currently trained facilitators completed the Simulation Facilitator Course through Intermountain Healthcare's accredited simulation program. In December of 2018, Weber State/Nu Nu Chapter leaders (Dr. Susan Thornock, Dr. Sally Cantwell, Dr. Rieneke Holman, Dr. Deborah Judd, and Marlene Summers) met with the simulation leaders from Intermountain Healthcare (Sarah Minson & Patty Kohen) to discuss the best way to proceed in the future with meeting the need for all simulation faculty in the state. Due to high demand for seats at their simulation facilitator course, Sarah said Intermountain Healthcare is not able to keep up with all the external requests to attend their course. She said we are welcome to use any of their materials in their course and modify them as needed to meet academia needs. Weber State University personnel ensured Sarah and Patty Intermountain Healthcare’s materials would be given full acknowledgement and gratitude. Sarah also suggested we work with other university nursing programs to organize this course. All Weber State personnel were excited about this option and immediately contacted other university simulation facilitators who had also completed this course. Individual conversations with Stacie Hunsaker at Brigham Young University (Iota Iota), Madeline (Maddie) Lassche at the University of Utah (Gamma Rho), and Dr. Diane McAdams-Jones at Utah Valley University (Iota Iota) resulted in great excitement and commitment to pursue the development of this course which would be open to any academia faculty member in the state of Utah. With Maddie also serving as President of the Utah Simulation Coalition (where each university has membership), the sponsorship will come from this collaborative organization. Video conferences have been held every other month in 2019. April 25th will be a face-to-face meeting to finalize the content and presenter assignments for the first course to be conducted at Weber State University on August 13th - 15th, 2019. Kristine Bouwhuis, RRT and Simulation Coordinator at Weber State University, is also a key member of this simulation committee as well as the Utah Simulation Coalition. Western Governors University and Westminster College have also been invited to join this planning collaboration group. Nurses Night Out is coming up! Celebrate Nurses Day with nursing colleagues at May 6 from 5:30-8:30p at Lost Coast Brewery in So.Eureka. Join us for a lively discussion on The Public Image of Nursing. CE’s sponsored by Open Door Community Health Centers. We will have an interesting evening of exploring nursing in the media, conversation and networking. The cost is $15.00 for members, $20.00 for non-members and $5.00 for students. There is no host bar for your enjoyment. The Lost Coast Brewery is located at 1600 Sunset Drive in Eureka. Please register by May1 at the link at https://nno-imageofnursing.eventbrite.com. Rho Zeta Chapter of Sigma has collaborated with the Tangipahoa District Nurses Association (TDNA) for this fundraiser to benefit Health Transition Alliance patients with special needs, and area food banks including Our Daily Bread and the Southeastern Food Pantry! Cookbooks will be delivered in early May - great Mother's Day gifts - $20 or 2 books for $35. You may contact anyone with Rho Zeta Chapter of Sigma or TDNA for delivery points. Rho Zeta CE Meeting: The Pursuit of Magnet Designation: A Pathway to Excellence? Activity Outcome and Target Audience: After attending the continuing education activity, participants will be able to describe the characteristics related to how the Magnet Recognition program can impact patient care and influence professional practice. REGISTRATION: Click on the link below to register. REQUIRED: Registered nurses will earn 1.0 contact hours of continuing nursing education. Participants must register for the CE activity, view the presentation, and submit the feedback to receive the contact hour. Disclosures: There is no conflict of interest or relevant financial interest by the planners of this activity. There is no commercial support for this activity. There is no endorsement of any product by Rho Zeta Chapter of Sigma for this activity. This activity has been awarded one contact hour by the Louisiana State Nurses Association Louisiana State Nurses Association is accredited as an approver of continuing nursing education by the American Nurses Credentialing Center’s Commission on Accreditation. REGISTRATION: To register click here. The Rho Zeta Chapter of Sigma Nursing Honor Society and the Tangipahoa District Nurses Association invite you to participate in a community cookbook project by sharing your favorite recipes. We will print your recipe and a lightened up version too! The proceeds from the sale of the cookbooks will go to benefit area food banks and the Health Transitions Alliance program. The alliance addresses the needs of community members at high risk of being readmitted to the hospital. These individuals typically have a lack of resources in the home to help them recover. The alliance helps to connect them with community resources and necessities. The “Eating Healthier in South Louisiana” community cookbook will promote a healthier lifestyle. Contributions of recipes will be needed to make this cookbook. A subcommittee will be working behind the scenes to receive and compile the recipes that are collected to have this book ready to go to the publisher, Morris Press Cookbooks, by January 31, 2019. All recipes received on or before that date will be considered for this cookbook. We know that we all have recipes that are special to our family and friends. We ask that you share those recipes for this professionally published 3-ring cookbook and later support the sale of the book to benefit our selected charities. Our goal is to have the book available for Mother’s Day and Nurses Week 2019. We will share more information about distribution points for the cookbook which we expect to sell for $15 each. The forms are available at https://tdna.weebly.com/ for you to complete your recipe(s). Instructions are on the form. In addition, you can indicate the number of cookbooks that you would like to reserve without obligation. Please plan to submit 3-5 recipes (one recipe per form) via email or post office box address. The email address is rhozetaofsigma@gmail.com. Your name, organization, and hometown will be included with each published recipe. Direct questions to Luanne at 985-507-7366. We are excited about this project. Thank you for what you do to keep our community healthy! Come support Southeastern School of Nursing - Canines and Cupcakes! Boosting Awareness of Membership - Rho Zeta Roars! Let's all support Relay for Life in October. One group of Rho Zeta Chapter members will be at Zemmuray Park, Hammond, LA, Saturday, October 13th 10 AM - 6 PM. Bring family, friends or your neighbor and come to Flamingle with us! Rho Zeta Chapter of Sigma will participant in events during the month of October to support our local ACS Relay for Life event and Our Daily Bread Food Bank. Founder's Day Activity: Relay for Life Event - October 13th! Join the Rho Zeta Chapter of Sigma team on October 13th 10 am - 6 pm in Hammond, LA. See link. Or contact Luanne Billingsley at luanne.billingsley@selu.edu or 985-507-7366. Painting With a Twist for a Cause! Rho Zeta Chapter of Sigma and the Tangipahoa Parish District Association (TDNA) will host a Painting With a Twist event to support "Our Daily Bread Food Pantry." Please register to confirm your spot through this link. (Use the password: NURSES at the site.) Plan to bring non-perishable food items that will also be donated to the Our Daily Bread Food Pantry. Refreshments will be served! Come to enjoy the evening and catch up with your nursing friends! Sign up for a seat. Rho Zeta Chapter Members - Consider Donating Blood Ahead of Hurricane Florence! Consider donating blood now ahead of Hurricane Florence. If you are unable to donate, encourage those who can. Founders' Day Activities! Donate Blood and Be Ready Post Florence! Let us suggest that you consider donating blood or encouraging those who can and be prepared to assist after Hurricane Florence clears the east coast. If you have needs contact an officer of Rho Zeta Chapter. Founders' Day is 5 October. As part of her Call to Action, President Beth Baldwin Tigges has invited all Sigma members to participate in 90 minutes of service to the community. She noted, "Founders' Day gives all of us an occasion to give of ourselves in honor of our founders." Do you have any ideas or service work needs? Let us know and we can organize for the Founders' Day 90 minutes of service. 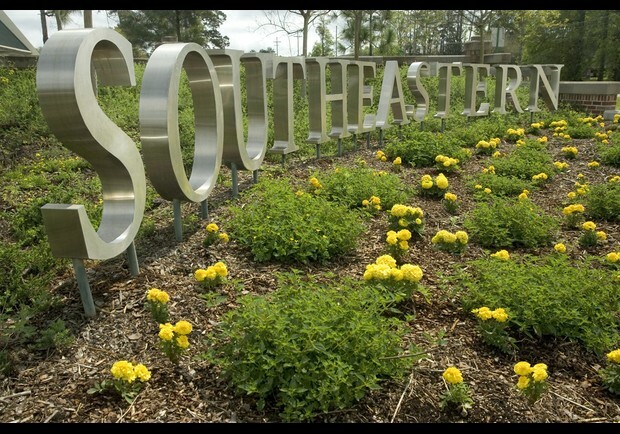 Rho Zeta Chapter of Sigma is recognized as a student organization at Southeastern Louisiana University. As part of being a responsible member of an organization that recruits students, it is essential to be familiar with Southeastern's Hazing Policy. For your convenience, the link to the policy is included. If you have questions contact the Chapter President, Dr. Louise Billingsley "Luanne"
Activity Outcome and Target Audience: After attending the continuing education activity, participants will be able to successfully demonstrate knowledge related to the use of Motivational Interviewing principles. REQUIRED: Registered nurses will earn 2.0 contact hours of continuing nursing education. Participants must register for the workshop, view the presentation, and submit the feedback to receive the contact hours. Disclosures: There is no conflict of interest or relevant financial interest by the planners of this activity. There is no commercial support for this activity. There is no endorsement of any product by the Rho Zeta Chapter of Sigma for this activity. This activity has been submitted to the Louisiana State Nurses Association for approval to award contact hours. Louisiana State Nurses Association is accredited as an approver of continuing nursing education by the American Nurses Credentialing Center’s Commission on Accreditation. Rho Zeta was able to participate in this event to reach the goal of 100 Easter Baskets for area foster children. We were asked to participate because we are listed as a student organization at Southeastern. Rho Zeta is looking for ways to partner with the community for volunteer activities. If you are a member of Rho Zeta and you need volunteers for your event contact a board member and we will get the word out to other members. Tags for Rho Zeta Chapter of Sigma group.